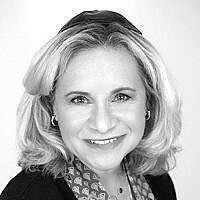 Fourth generation cantor, second woman to serve a traditional synagogue and founder of the Women Cantors' Network. Deborah studied with Elie Wiesel z"l and continues to be inspired by his teachings. A cantor in Ridgefield, CT, cellist, tallit Swedish weaving embroiderer, mother of 6, grandmother of one. Wife and friend.